When it comes to your local pawn store, what can you expect… a trick, or treat? This Halloween and all year round, Auto Pawn is serving up treats in the form of financial support when you need it the most. Take a look at today’s blog to see what to expect when you work with our team! Sometimes, the best treats are truly the ones you least expect! So many huge financial discoveries have been made by people just like you. Maybe they were searching through an old, cluttered closet—or maybe they were sifting through a pile of jewelry for that perfect Halloween accessory! But every now and then, a surprise would strike in the form of an old necklace or heirloom worth a little more than was once believed. Sure, not every jewelry box is hiding a small fortune inside. 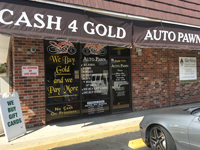 But it’s always worth a look… and if you’re ever unsure about the value of jewelry (or just about anything else), we here at Auto Pawn can help you assess its worth and decide what next steps to take. Another treat that Auto Pawn provides? The chance to cover life’s little surprises, easily and stress-free. 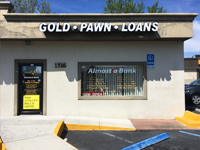 At our stores, we offer pawn loans on everything from your car to your boat—so that no matter your situation, you know that you’re covered with a straightforward solution that works. 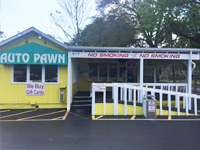 One thing you won’t find at Auto Pawn? “Tricks,” hard-to-understand terms, or anything else that might get in the way of a successful loan process. That’s why our team is equipped with everything from technical know-how (from our trained metal analyst, for example) to everyday common sense in how to explain the terms of your loan, as well as flexibility in laying out a payment timeline that works for you. This season and beyond, Auto Pawn’s got you covered! Visit one of our Volusia County locations or call us today—we’re here to help.